To arrange for presentations on northwest maritime exploration or to book a cruise either for a school group or club or private charter, please contact the captain at the address below. 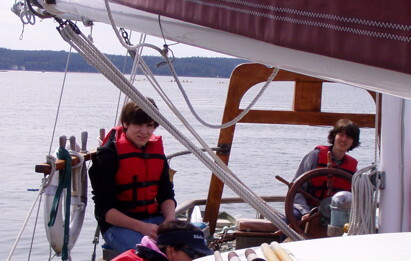 Æolian Adventures, Inc. is a 501(c)(3) non-profit corporation providing educational and research opportunities, specifically related to Pacific Northwest maritime history. Donations are gratefully accepted and tax deductible where the law allows. More about Captain John Colby Stone and the Cutty Sark (in pdf).